We are extremely happy to see that our hard work has been acknowledged. 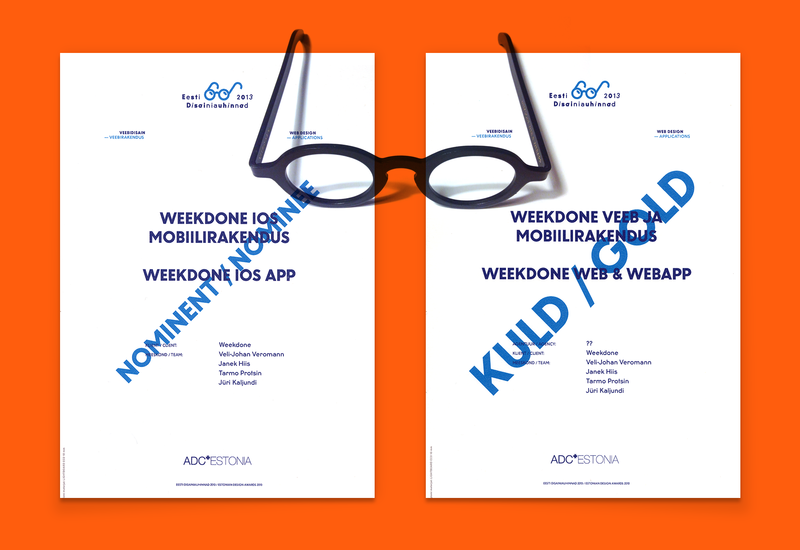 Weekdone has been selected as the winner of ADC*Estonia's 2013 design awards in the "Web Design – Applications" category. 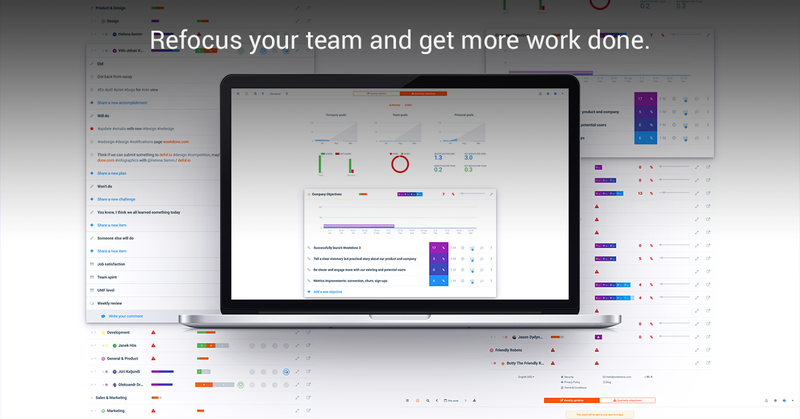 Big thanks to our team, you – the Weekdone users and fans who have given us invaluable feedback in improving the service and helping us get where we currently stand, the talented competitors who fought hard to reach the finals. And of course to the honorable jury. 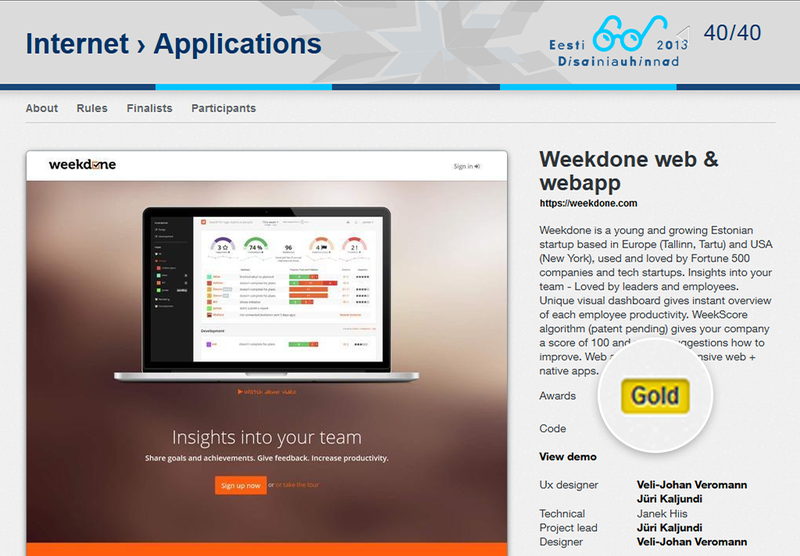 Out of 9 competitors (including big names like Toggl, Marinexplore, Camorka, Fleep, etc), Weekdone snatched 2 places among the finalists and got awarded 1 of 2 Gold prizes. That's a big honor for us! To celebrate with us, we are offering you all a discount! Subscribe this week (before October 8th) and get 10% OFF! Use the code "ADCWIN2013"
Remember to follow us on Twitter, Google+ and Facebook for all about design, award, ADC*Estonia and more! We're also on LinkedIn and Slideshare, posting about Weekdone Product & Company News, Fun. 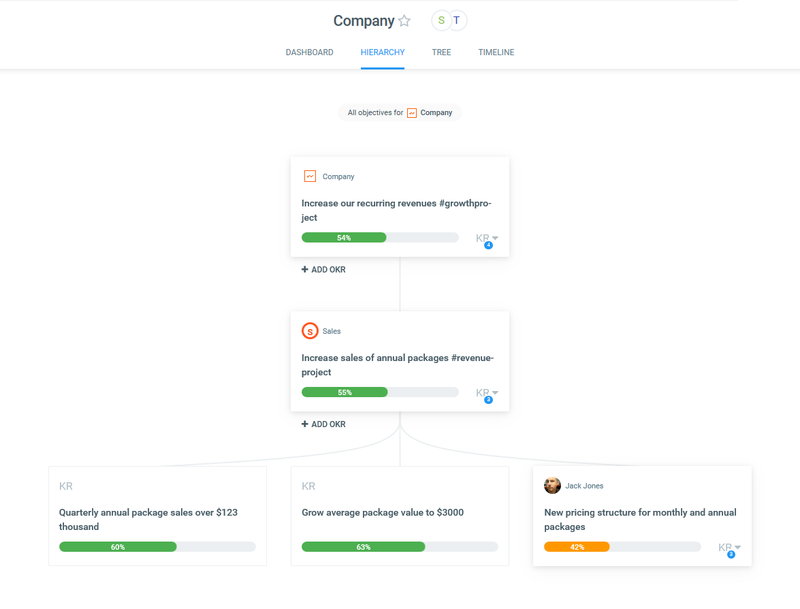 Subscribe to our Leadership Academy newsletter on building great companies for more tips about Weekdone Product & Company News, Fun. 23,300 awesome subscribers.